A good night’s sleeping begins with your bed. Whether it be a cozy mattress in your bedroom at home or the mattress, sleeping bag duo you’ve picked for your weekend in the woods, comfort is key. Like anything when it comes to outdoor gear before you make a decision, you need to know what you’re looking for. What Kinds of Camping Mattresses Are There? First things first, there are three main types of sleeping mattresses so you will need to decide which one is right for you. Some people that do a variety of outdoor activities and different types of journeys may own more than one camping mattress. 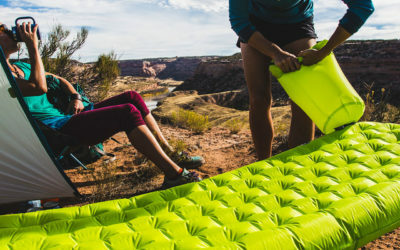 If you’re just starting out your collection of outdoor gear, one all-around mattress would be good to start with. There are three main types of camping mattresses: air mattresses, self-inflating mattresses, and closed-cell foam mattresses. Each mattress will have its intended use and environment so it’s important to take note of those specifications. Do you remember those light blue foam pads that could easily be rolled up for travel and laid out when it was time to build your bed? Those blue mattresses are known as a type of closed-foam mattress. 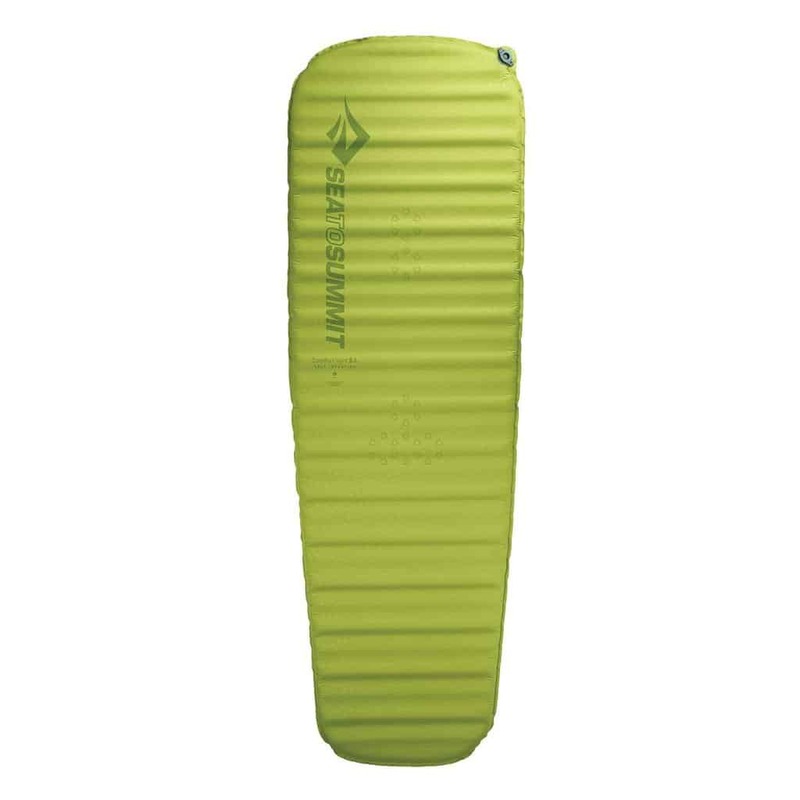 These are the most basic backpacking mattresses and they are very lightweight and often a cheap option. The mattress is made of a dense foam which is filled with tiny closed air cells, hence the name. A closed-foam mattress is generally quite light although they don’t always provide the most comfort as they are not substantially thick. If you are camping on more or less smooth terrain where a thick mattress isn’t necessary, a closed-foam mattress would work just fine. You can find newer designs with ridges and in different colours other than the original light blue. Some will be thicker than others and have an insulation layer or insert so that it can be used in colder temperatures. You can find closed-foam cells that roll up or are folded in a Z-formation. They tend to be stiff or firm and can be slightly bulky so if space is an issue, a closed-foam cell may not be the best option. Air mattresses are generally a little more expensive due to the materials they are made from and the technologies used. They are generally very lightweight and can be easily packed down to a small, convenient size that fits in your backpack. Air mattresses are more often designed for three season use although some will contain insulation or a reflective layer which works in a way to increase your warmth. 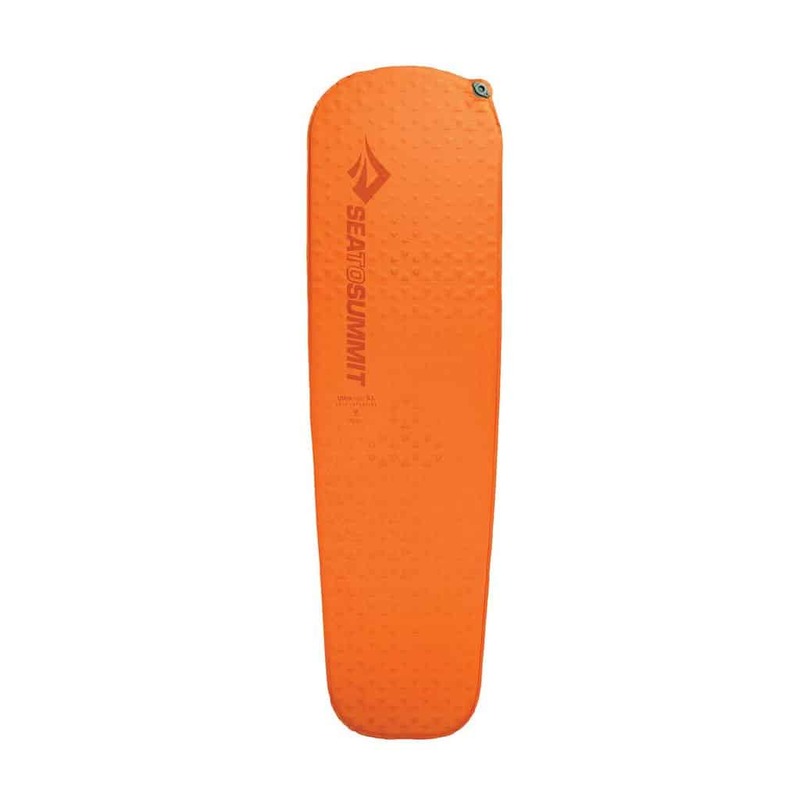 You’ll find many more winter camping options that are air mattresses as opposed to close-foam mattresses. If you’re the type of person that needs a thick mattress in order to have a good night’s sleep, an air mattress is a good choice. There is a variety of options to choose from with multiple different thicknesses. 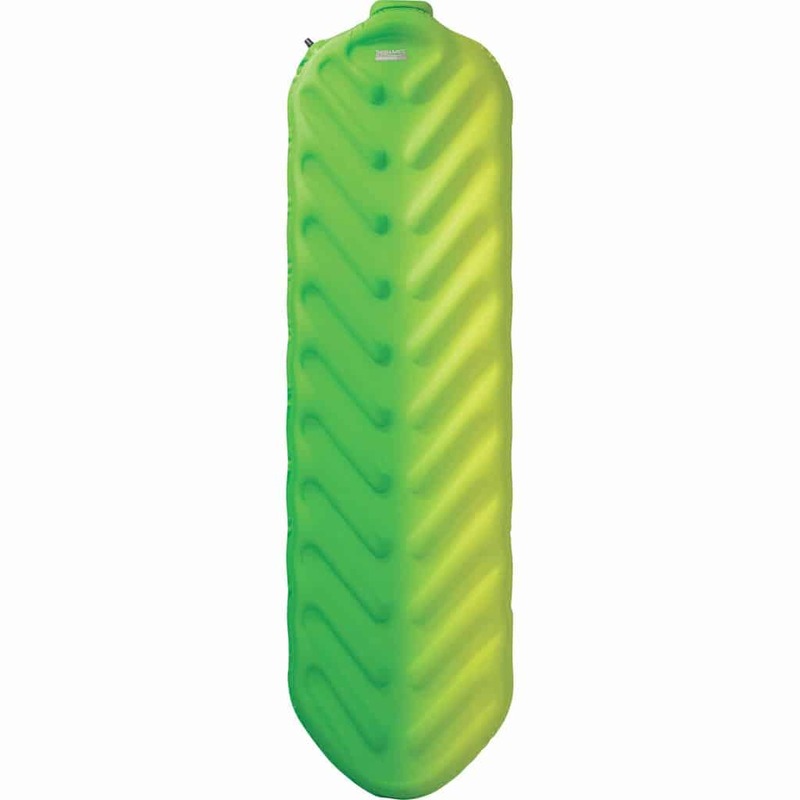 You can find an air mattress that inflates to be as thick as 3 inches but packs down small enough to carry in your backpack. This is what makes them a top choice for backpackers, whether you’re a minimalist or not. Air mattresses require being blown up either by your mouth, a pump or a SpeedValve which is used in many of the Therm-a-Rest mattresses. Although it’s very rare, some that are blown up by mouth can begin to get moisture trapped inside. This trapped moisture can affect the performance of the mattress and may even lead to mold build-up in the warmer months. Some air mattresses will come with a built-in hand pump. These, although more costly, are great as they eliminate any chance of moisture from your breath getting trapped inside. For those air mattresses that do not come with a built-in hand pump, they can be purchased separately. Sometimes you can find a pump that also doubles as a pillow like the NEMO Equipment Fillo Bello Pillow pictured below. 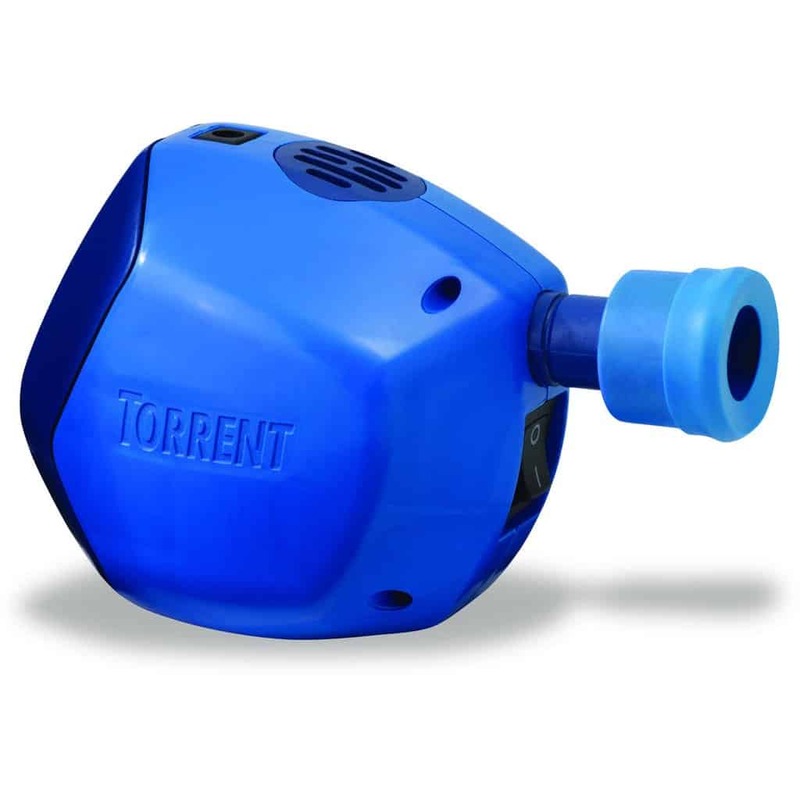 If you are buying a pump separately, it is important to ensure that it is compatible with your mattress. While some may think the more air that is in your mattress, the better, this isn’t always the case. If an air mattress is pumped up too much, it can feel too firm and may create sore back muscles. Play around with the amount of air in your mattress and different thicknesses until you find one that’s right for you. Generally, a thickness that allows your hip to dip without coming into contact with the floor will be a comfortable thickness. The third type of camping mattress is the self-inflating mattress. These are generally the best option for those looking for something with strong fabrics and slightly more durability. Self-inflating mattresses are often less expensive than air mattresses although more than closed-foam mattresses. Self-inflating mattresses are made up of a combination of air and open-cell foam. 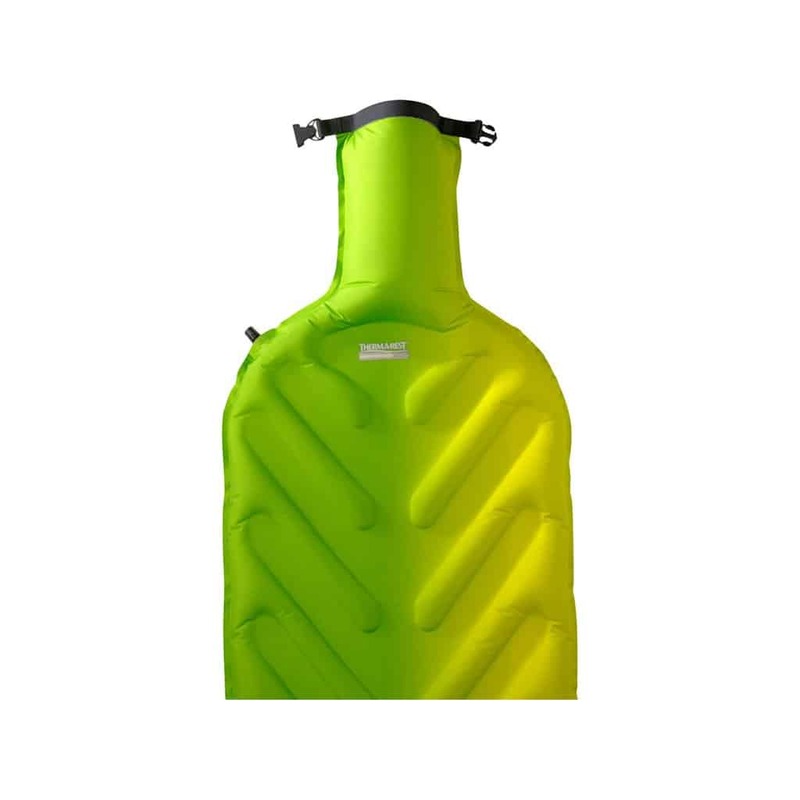 They are ideal for any type of camping including car camping. Different sizes offer different widths and thicknesses so you can find the perfect one for you for the best night of sleep. 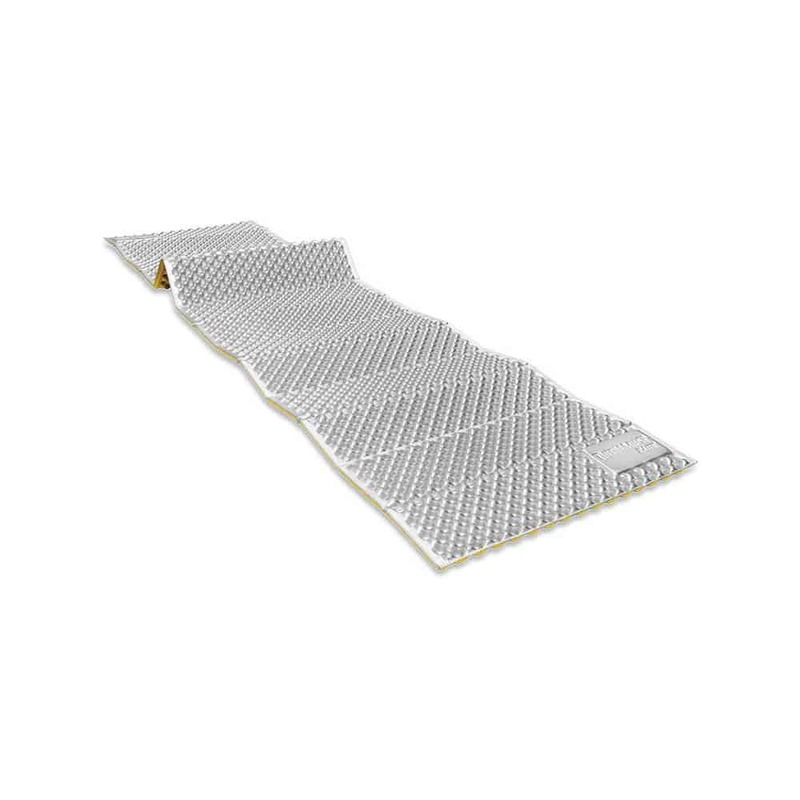 These mattresses often offer excellent insulation and like the air mattresses, the firmness can easily be adjusted by releasing or adding air. The two main cons of a self-inflating mattress are that they are often heavier and more expensive than your basic closed-foam mattress and they are less compactable than an air mattress. At the end of the day, each type of mattress will have its pros and cons. Finding the right one for you comes down to the types of camping you plan to do and your budget. While shopping for a camping mattress, you will often see the term R-Value included in the product description. The R-Value is the measurement of the mattresses’ resistance to heat flow through the mattress material. The higher the R-Value, the greater the resistance of the mattress material allowing heat to flow through which simply put means the better insulated your mattress will be. For winter camping, you’ll want to shop for a mattress with a higher R-Value. 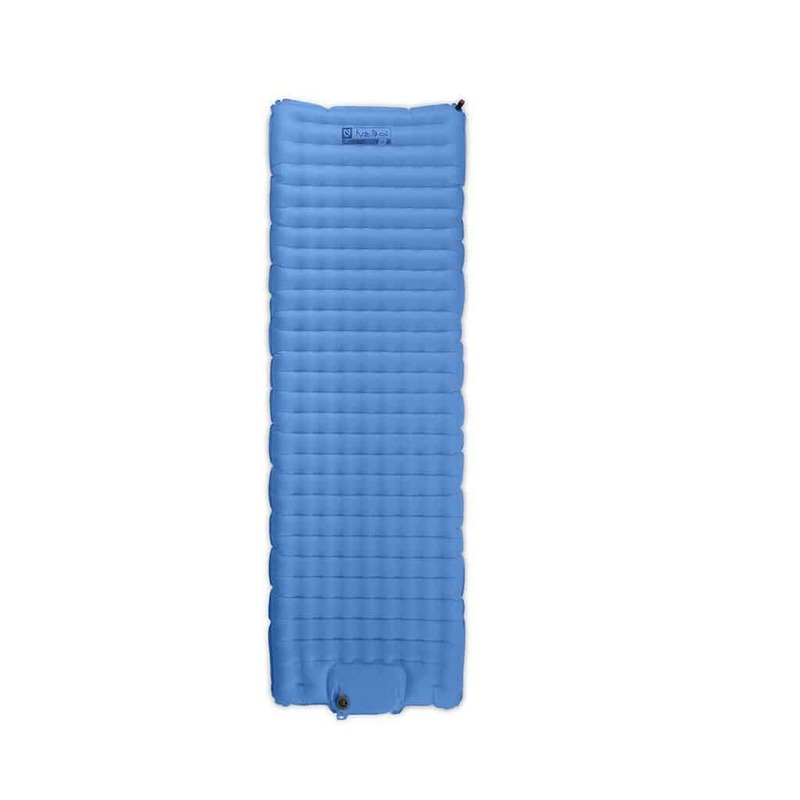 There is a temperature range associated with R-Value which can be a useful tool when choosing your camping mattress. This same temperature range is used for other types of insulations such as those used for your house. The obvious intended use for a camping mattress is camping but the type of camping you plan to do will play a role in deciding what kind of mattress you need. 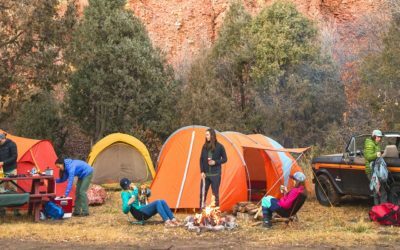 If you’re car camping, a lightweight and compact mattress isn’t necessarily crucial because you won’t be needing to carry the mattress very far from the car to the camp. 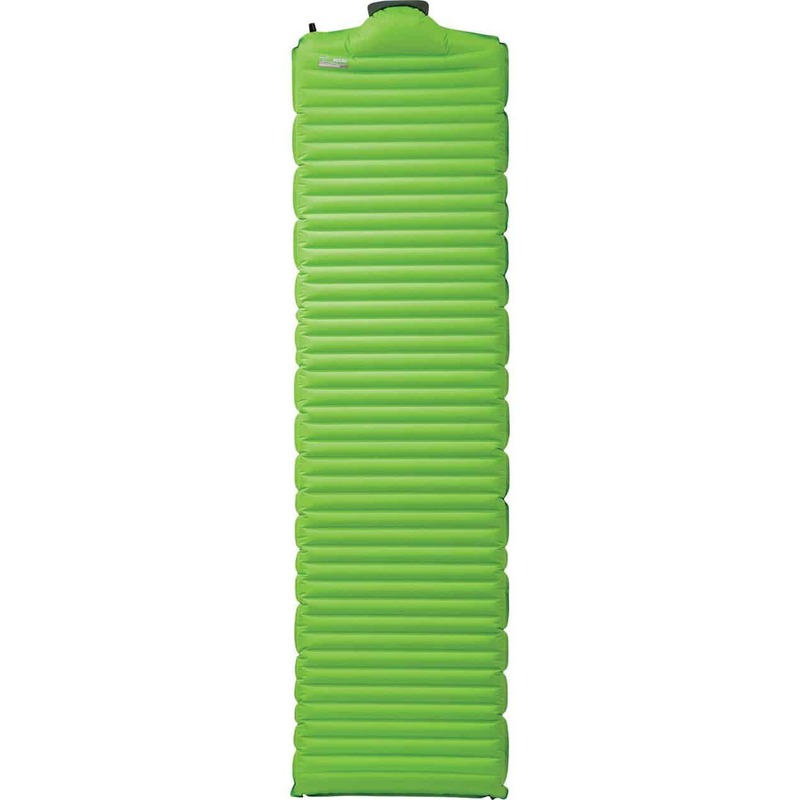 Backpacking, on the other hand, requires lightweight and compact gear so a mattress that fits this is essential. Each mattress has its ideal environment and intended use so choose wisely to ensure you get the best night’s sleep while camping. You guessed it, car camping generally has zero weight and size restrictions so you can choose the comfiest mattress on the market. Pick between self-inflating mattresses or thick air mattresses for the most cushioned night of sleep. 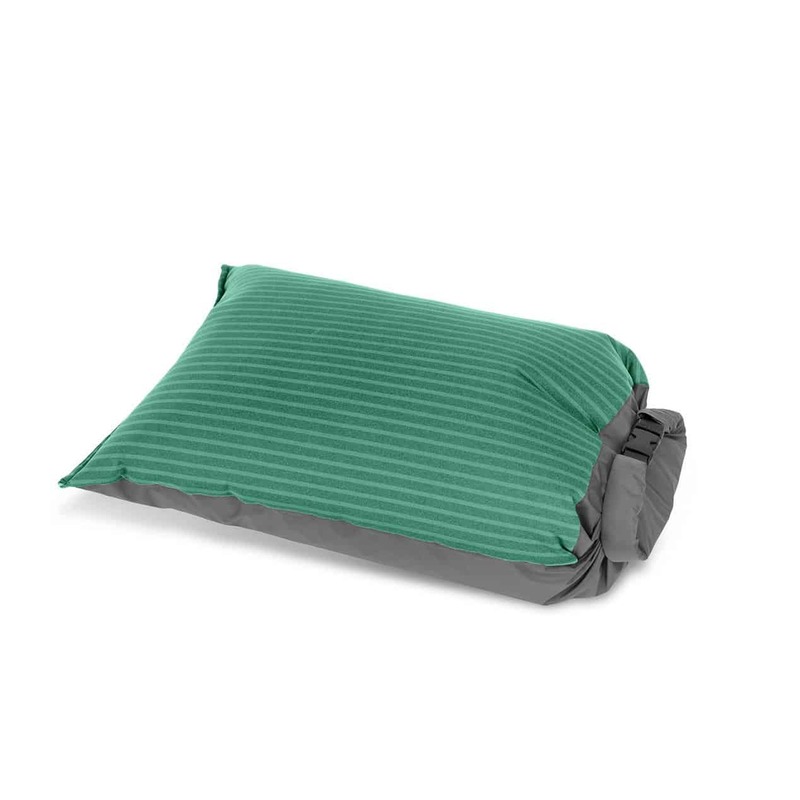 As you would expect, a lightweight and compact mattress is ideal for any type of backpacking or travel where you are carrying your gear on your back. 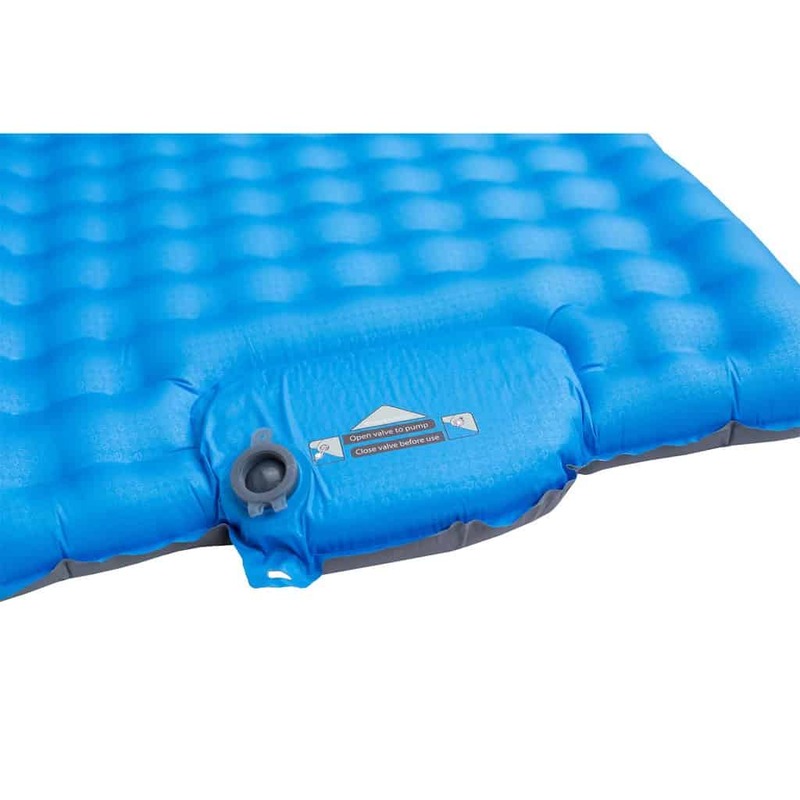 For this, an air mattress is your best choice unless you can find a lightweight self-inflating mattress too. You get the comfort and lightweight in a compactable and convenient size. For those who don’t let the snowy forecast keep you from enjoying a night under the stars, a well-insulated mattress is essential. 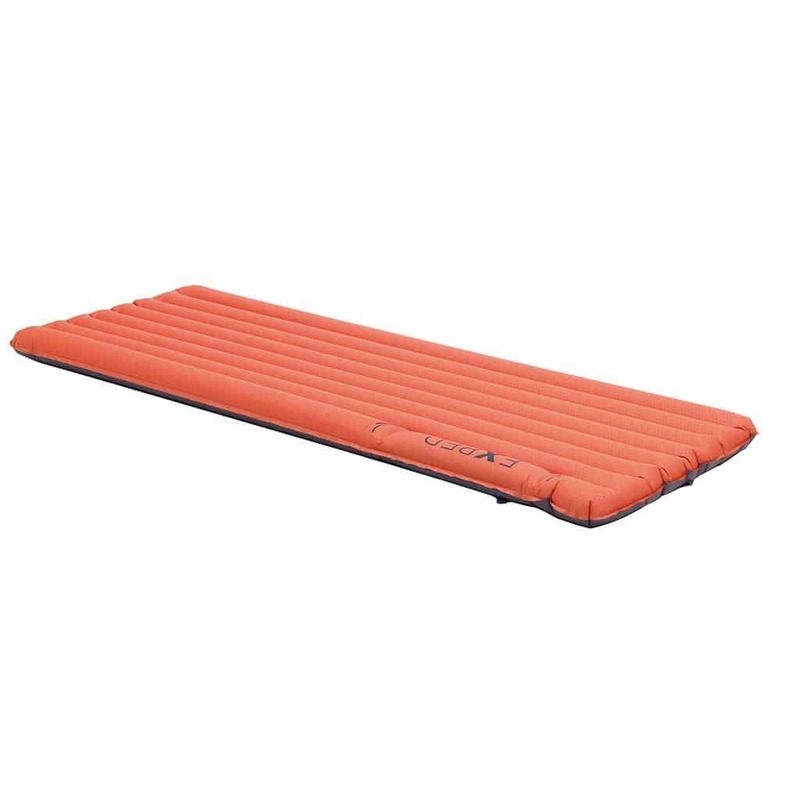 You can find either an air mattress or a self-inflating mattress but it is crucial that it is insulated and will be adequate for the temperatures you will be camping in. Some mattresses will have synthetic insulation while others have down. A down-insulated mattress will offer the most warmth although, it may not perform as well in damper climates as synthetic insulations so do your research first. 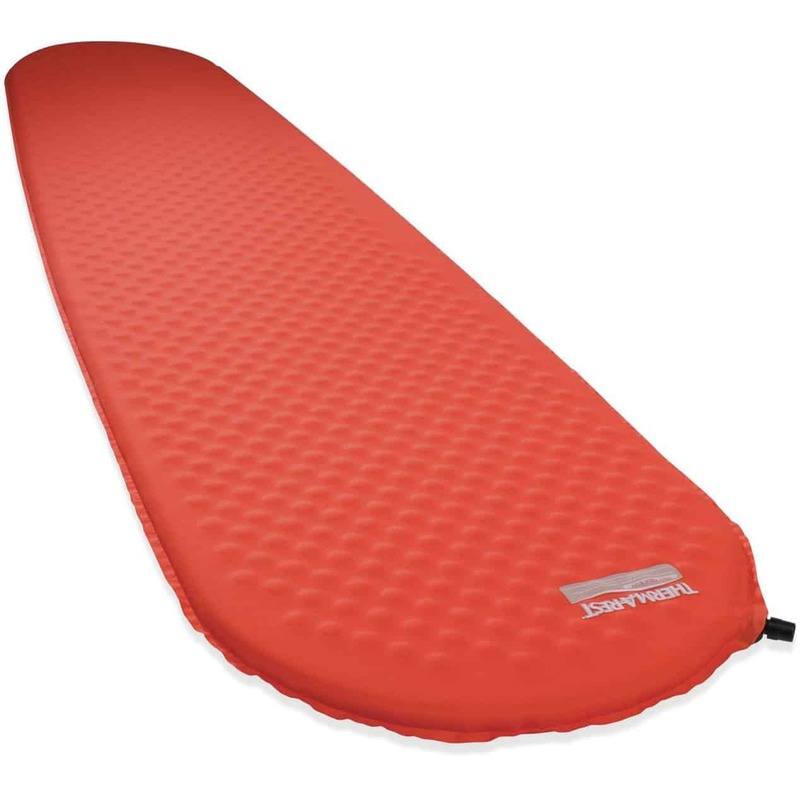 Like any type of outdoor gear nowadays, there is also a minimalist option for camping mattresses. 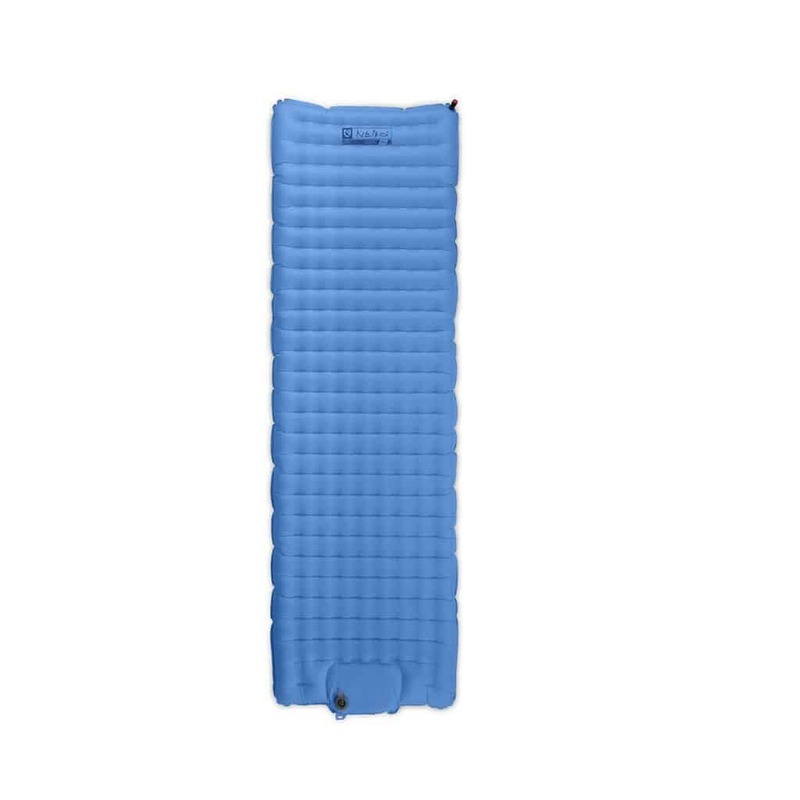 If you’re headed for a minimalist backpacking trip, you’ll obviously want the most compact mattress so an air mattress will be your best bet. Choose a lightweight air mattress and you’ll get something that packs down to a reasonable size that takes up next to no room in your backpack. Camping mattresses are packed with features although these features are more like the different specifications of each individual mattress. The features range from the insulation type and R-Value to the length and width. As mentioned above, mattresses that have a higher R-Value are going to be better insulated and provide more warmth. 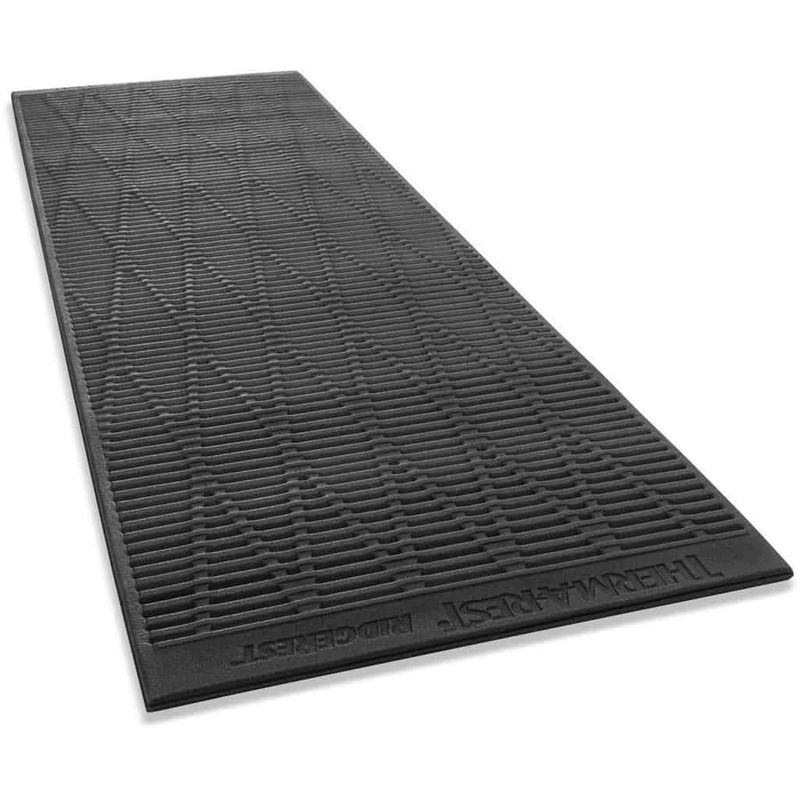 This is a feature to look for when shopping for a camping mattress for winter camping. There are also some mattresses that will have a layer of down insulation. 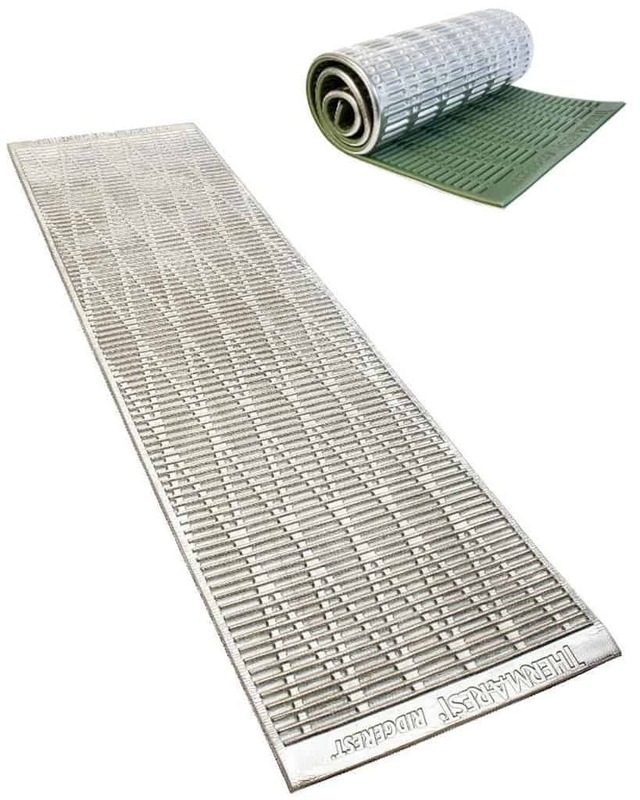 These are designed for very cold environments and won’t be commonly seen in mattresses from all brands. Most mattresses will have a layer of synthetic insulation because even in the summer, some sort of insulation is needed to keep you from feeling the cold from the ground. A winter mattress should have an R-Value 4 at least or more. Summer mattresses will be around R-Value 3 or more although you don’t have to worry about getting one that will be too warm and make you overheat. Sleeping mattresses are available in multiple lengths and some brands have different widths to choose from as well. If you’re short, there are shorter options, and for the tall folks, there are long options. There’s nothing worse than being too long for your sleeping mattress and having your feet hanging off the end. Most product descriptions will have the length of the mattress included so don’t forget to double check that your mattress is the correct length for you. Width is also important. If you’re lying on your back and your arms are off your mattress and on the floor, your mattress is most likely too narrow for your body. It’s always a good idea to test out your mattress once you purchase it to double check that the width and length are correct. Don’t’ be that camper that gets to your destination and realizes the mattress is the wrong size for you. The weight and packed size of your camping mattress will be more important to those who are traveling with size and weight restrictions. You ideally want a mattress that can be packed down small enough to fit into your backpack among your other gear. The product descriptions will show the measurements of your mattress including the weight. Lightweight mattresses are often more expensive so if you’re on a budget a tapered mattress can reduce size and weight without breaking the bank. An easy to inflate and deflate mattress is crucial. When you’ve been hiking for hours in high elevation, having to expel more energy to blow up your mattress can be exhausting and possibly dangerous. Nowadays, mattresses are designed with built-in pumps which are easy and convenient to use. 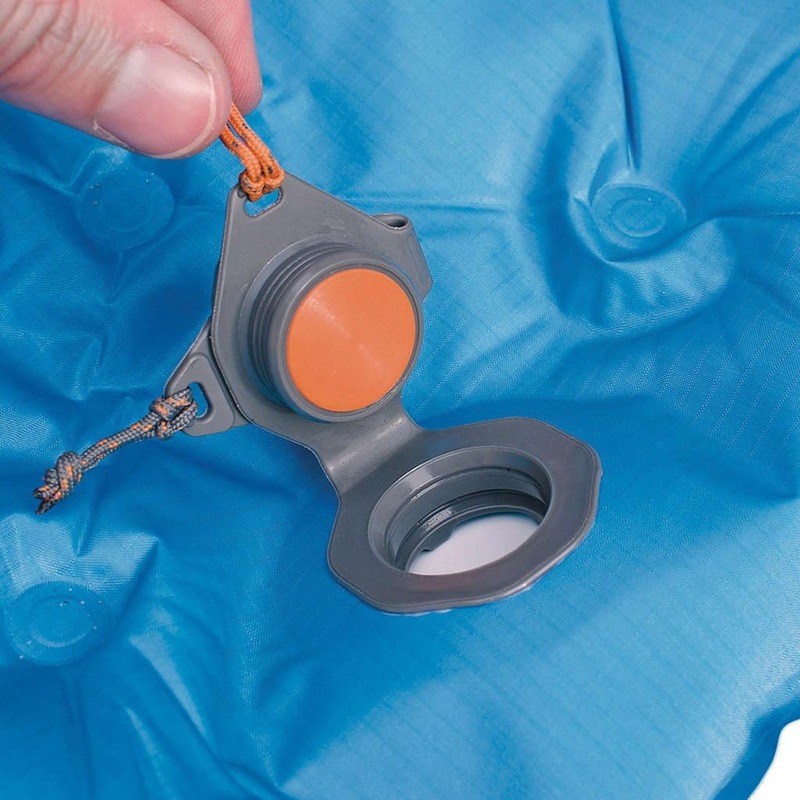 You can set up your tent, unroll your mattress and easily pump it up with one arm or foot. Ideally, you want to use your hand to pump the mattress rather than your shoe. This will eliminate any risks of accidentally damaging the mattress or causing a puncture. Easy deflation is also important. If your mattress takes too long to deflate and you’re having to repeatedly roll it up and unroll it to allow air to escape, you’re cutting into your travel time. Like sleeping bags, some mattresses are available in different shapes to save space and weight. You can find tapered mattresses or rectangular ones and even some cylinder shaped ones. Along with the different shapes comes the different baffle construction. 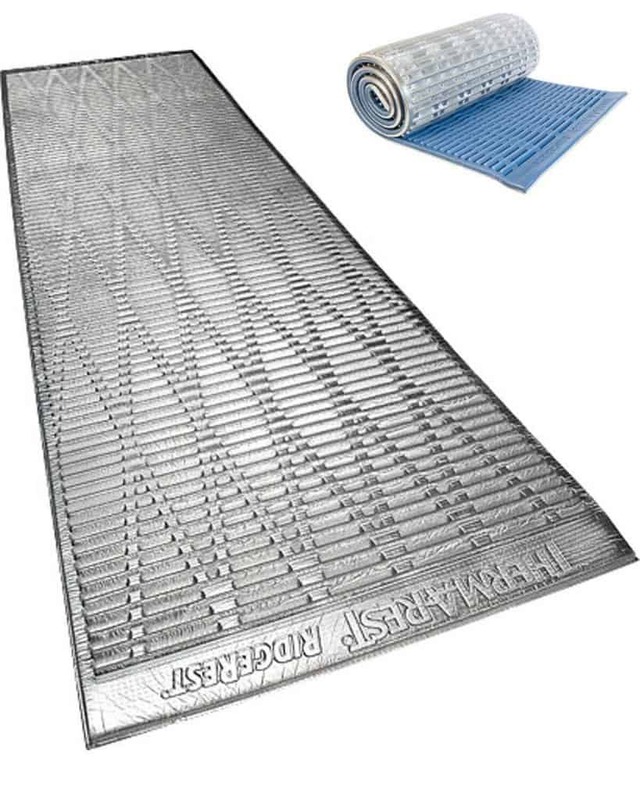 Some mattresses will have a flat surface and appearance while others will have vertical baffles, horizontal baffles and even multiple baffles. Each mattress design is crafted the way it is for a reason. 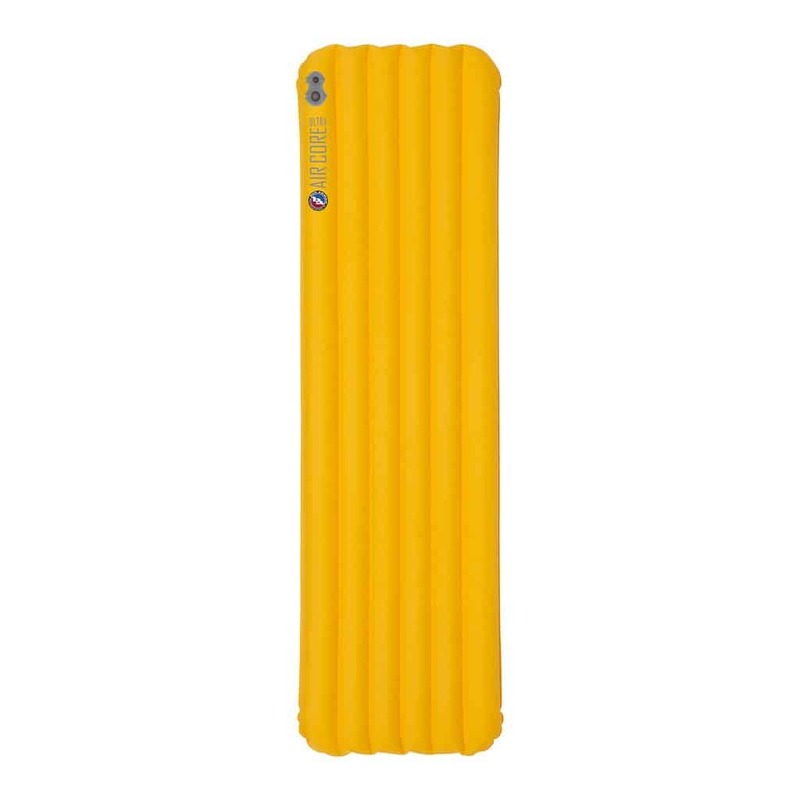 Some mattresses with horizontal baffles like those in the Exped collection will sometimes have thicker baffles on the outside. These larger baffles are known as rails and will cradle you while you sleep keeping you from rolling off the mattress. Other mattresses will have larger baffles near the top which double as a pillow. The baffle design can sometimes eliminate movement throughout the rest of the mattress so if someone steps on your mattress on their way out of the tent for a midnight pee, you aren’t woken up from the movement. 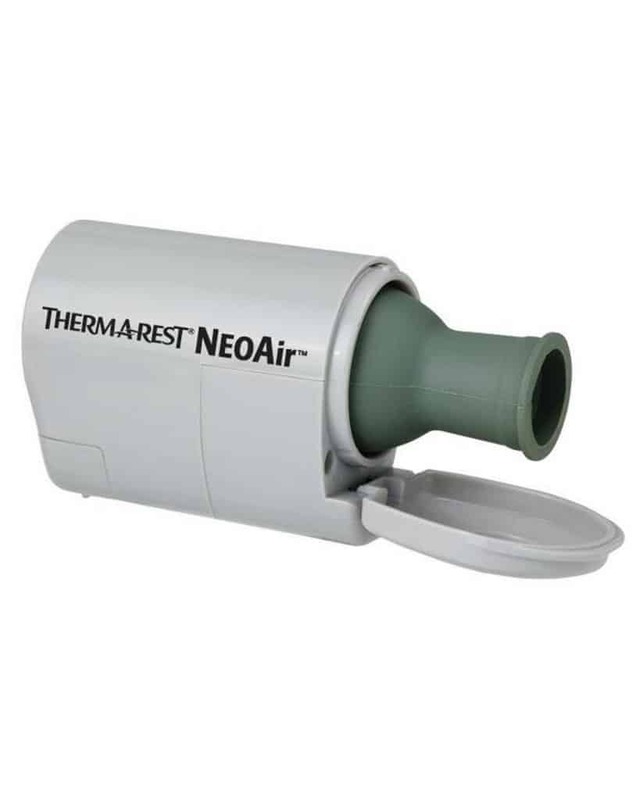 One of these technologies can be found on the NEMO Equipment Vector™ 20, which uses undulating lateral baffles. One thing I noticed very interesting with this particular mattress and its baffle construction was that when I sat up and had all my weight on my bottom on the mattress, I still didn’t feel the hard floor beneath me. This alone was a selling point. 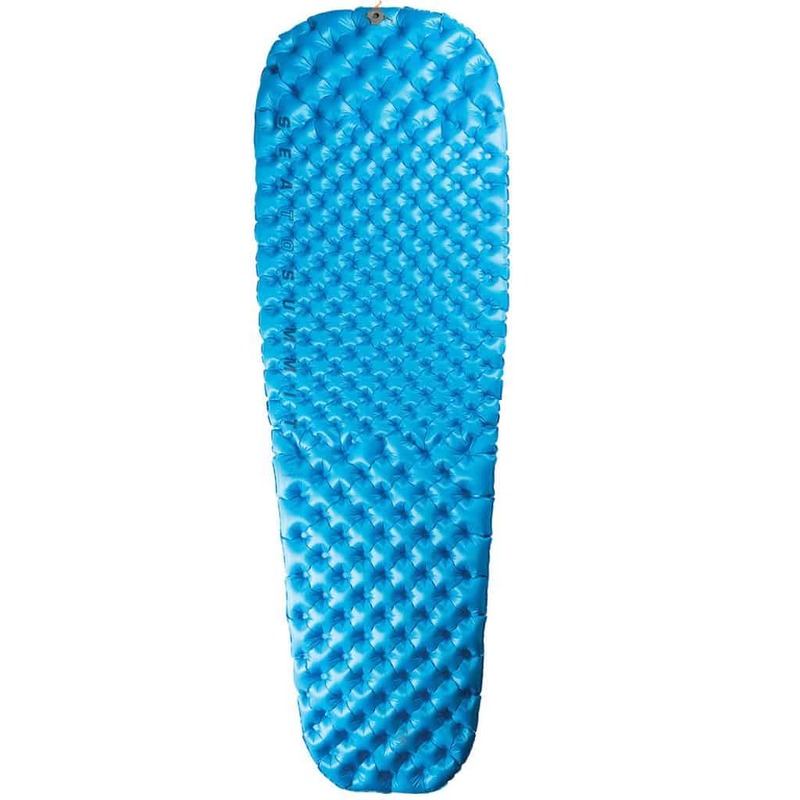 Some mattresses will have a face fabric or material which keeps your sleeping bag from slipping around and keeps it in place. For those who are restless sleepers and often find themselves waking up on the floor next to the mattress, a mattress with a surface fabric may be a good choice. Sleeping soundly is an essential part of any camping trip and with the correct camping mattress, you can every night. When you’re shopping for a new camping mattress it is essential to try it out before you get into the woods to make sure it’s the right pick for you. Some mattresses aren’t designed with everyone’s comfort in mind so don’t feel discouraged if you’re finding numerous mattresses aren’t working for you. If you can’t do the tapered mattress, don’t’ worry, there are plenty of other great mattress choices in different shapes. Picking the right camping mattress is as essential as picking the right sleeping bag and choosing the right tent so do your research and pick the right one. Once you’ve found your winner, you’ll be constantly looking for any excuse to leave your bedroom behind and sleep under the stars with your new gear. There is 1 thoughts on this article titled “How to Choose a Mattress for Camping”. I want to make sure that I get the right camping mattress. It makes sense that I would want to get one that is closed-foam! I need something lightweight so that I can take it backpacking, after all.